Zee Telugu's Dance Jodi Dance is will have its grand premiere on December 8, 9.00 PM. 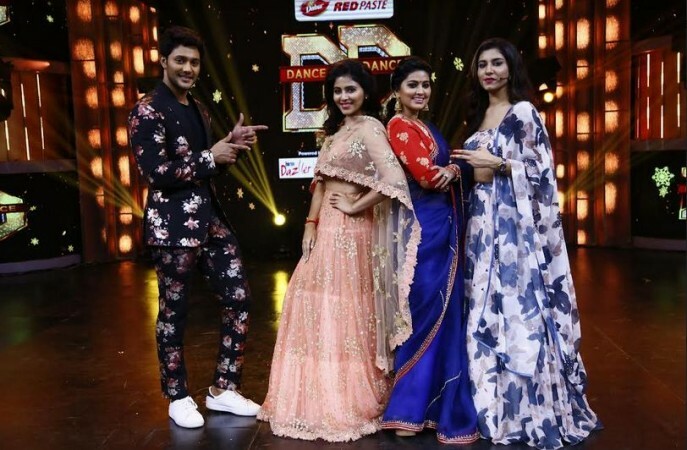 Zee Telugu has announced the launch of a brand-new dance reality show--Dance Jodi Dance. The show will premiere at 9.00 PM on 8 December, hosted by Prince and Vishnu Priya. Known for its popular fiction shows and differential story-telling, Zee Telugu reaches millions of people every day with its strong content. This refreshing new show will showcase the channel's lead actors who are popular for their unique characterisations and performances, catering to diverse entertainment needs of Telugu audiences, globally. Dance Jodi Dance will take viewers on an unprecedented journey where they will witness a unique blend of talent and skill, combined with best-in-class entertainment brought together by 12 popular Jodis, all from within the channel. All contestants will be divided into two teams with proficient mentors, one lead by Haritha and Suhasini, and the other lead by Jyothi Reddy and Meghana Lokesh. Ultimately, the three most-deserving pairs will battle it out and win the title. With its distinct concept, the show is set to revolutionise the Telugu entertainment industry. Dance Jodi Dance will be hosted by the popular television and movie personality Prince, and the energetic Vishnu Priya. The esteemed panel of judges includes the vivacious Anjali and Sneha, who will act as their guiding light on this unique reality show. The Jodis include the following real-life couples–Marina Abraham and Rohit Sahni, Siddhardh and Vishnu Priya as well as reel life couples–Ravi Krishna and Chaitra from 'That is Mahalakshmi', Prajwal and Yamini from 'Mutyala Muggu', Sunny and Samyukta from 'Kalyana Vaibhogam', Pooja and Kalki Raj from 'Gundamma Katha', Adarsh and Madhubala from 'Gruhapravesam', Krishna and Sandra from 'Mudda Mandaram', Vishwa and Sunanda along with Aata Juniors contestants pair Varun and Mahalakshmi, and Super Dancers Jodi Aqsa Khan and Tejaswini. Watch how these favourite television Jodis perform week after week to compete for the title of 'Dance Jodi Dance'.